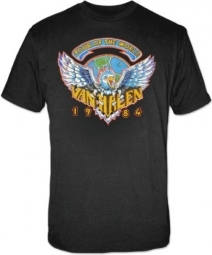 This new tee just screams ROCK 'n' ROLL and the USA — pairing the American Eagle with the Best American Rock Band Ever! 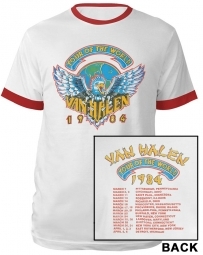 Features a killer, exclusive design of a bold, beautiful Bald Eagle spreading it's RED, WHITE, and BLUE wings, perched atop the classic Van Halen logo. 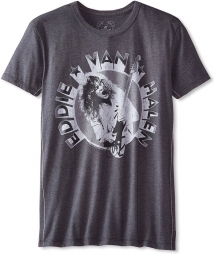 This premium tee is made in the USA by the vintage tee specialists at Trunk Ltd. 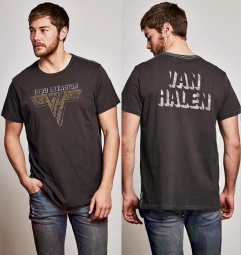 The distressed logo and EXTRA SOFT fabric give it the look of a worn, cherished concert tee, with the perfect fit and feel. 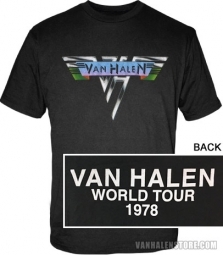 This is a Limited Edition and is already out of production. Exclusive signature Trunk Ltd. reinforced contrast side stitching.